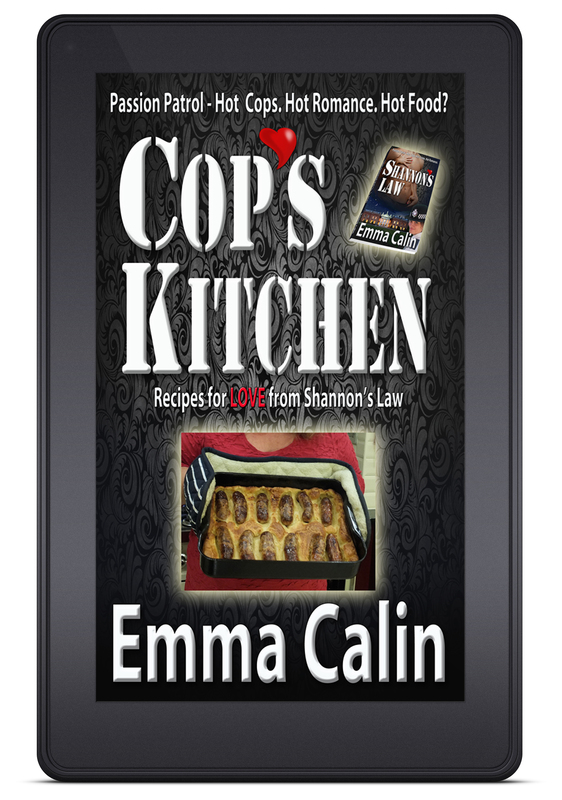 Four weeks after the launch of Emma Calin’s steamy action-romance SHANNON’S LAW and its companion cookbook COP’S KITCHEN, we are pleased to announce that both books hit #1 slots in their best-seller categories on Amazon and reached the top 10 in several others. SHANNON’S LAW still sits at #1 in Kindle book category British>Humor & Satire and reached #7 in Women’s Fiction>Mystery,Thriller & suspense>Crime and #9 in Literature & Fiction> Erotica>Humorous. At the same time, the cookbook reached #1 in Food & Drink>Regional & International>UK & Ireland. With more than 50 reviews worldwide and an average of 4.5 stars Emma is delighted that readers are enjoying the mystery, loving the romance and entering into the social comedy implicit in Emma’s work. She says this is why she writes. Emma Calin releases a steamy action romance with a companion cookbook. Read the romance, feel the passion – TASTE the love! 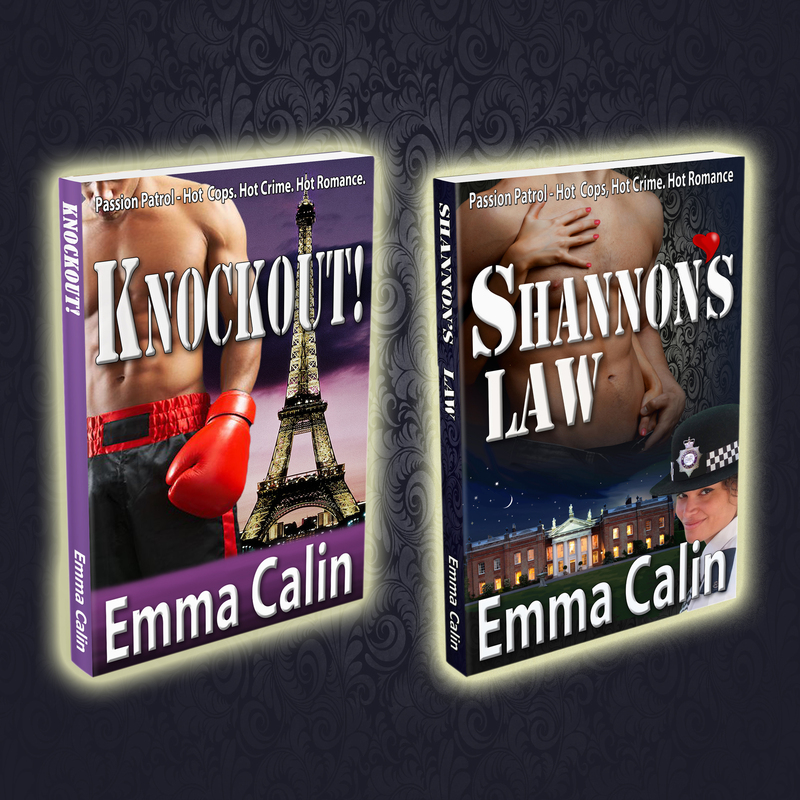 Today’s the day – the worldwide release of Emma Calin’s steamy action-romance novel SHANNON’S LAW. Emma’s ‘Passion Patrol’ books are stand-alone stories that feature hot cops, hot crimes and hot romance. SHANNON’S LAW introduces another sassy female cop, Shannon Aguerri, who catches crooks, delivers justice and always gets her man. 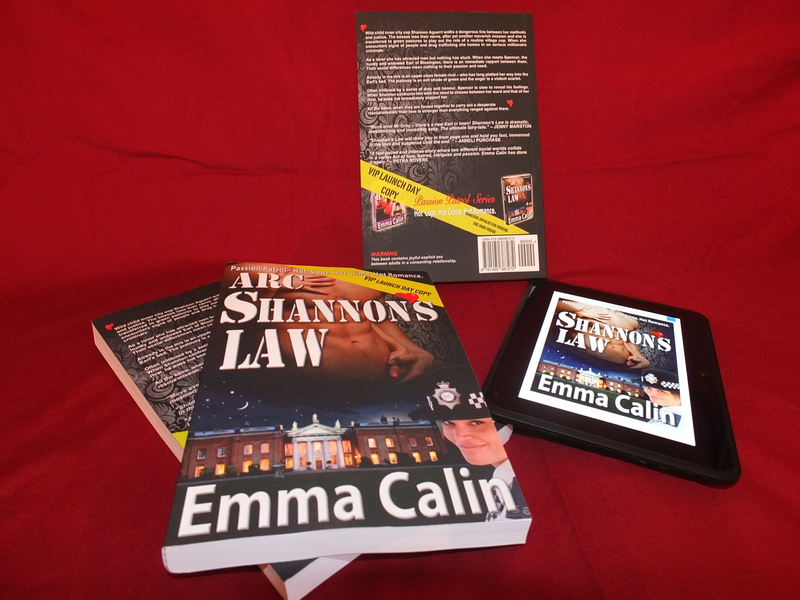 In celebration of the launch, Emma is offering SHANNON’S LAW at just $1.50/£0.99 for all digital versions, until the 10th March. There are special offers in place for the paperback version too – it’s at a rock-bottom introductory price of $10.99/£5.99/€6.99 until the 10th March. 5 Stars – Jenny Marston, Essex, UK. 5 Stars – Anneli Purchase, Canada. 5 Stars – Petra Rovere, Slovenia. Wild child inner city cop Shannon Aguerri walks a dangerous line between her methods and justice. When the bosses lose their nerve, after yet another maverick mission, she is transferred to green pastures to play out the role of a routine village cop. When she encounters signs of people and drug trafficking she homes in on serious millionaire criminals. As a loner she has attracted men but nothing has stuck. She meets Spencer, the hunky and widowed Earl of Bloxington and there is an immediate rapport between them. Their social differences mean nothing to their passion and need. Already in the mix however, is an upper class female rival – who has long plotted her way into the Earl’s bed. The jealousy is an evil shade of green and the anger is a violent scarlet. Often inhibited by a sense of duty and honour, Spencer is slow to reveal his feelings. When Shannon confronts him with the need to choose between her word and that of her rival, he does not immediately support her. All the same, when they are forced together to carry out a desperate rescue mission, their love is stronger than everything ranged against them. There’s a companion cookbook that Emma is also launching today – COP’S KITCHEN. This includes recipes for all the meals from the Shannon’s Law. The good news is that all entries to the Rafflecopter draw below get a free copy of this illustrated e-book. Prizes include $30/£20/€25 Amazon gift card, paperback and digital copies of Shannon’s Law, various afternoon-tea related swag items AND…. a FREE COPY of Emma’s digital cookery book Cop’s Kitchen for EVERY entrant! Special offer on the first ‘Passion Patrol’ book KNOCKOUT!